Visit us in Humble Today! 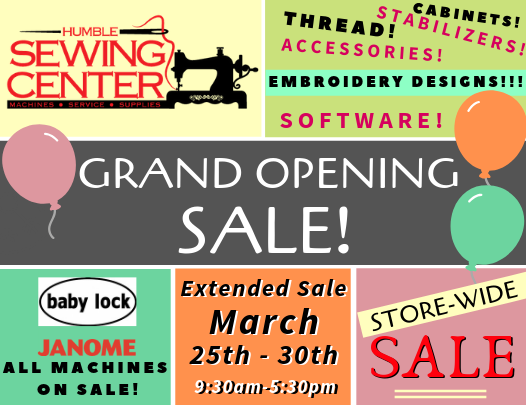 Your premier dealer for sewing, embroidery, and specialty machines. We will meet or beat Quilt Show pricing! 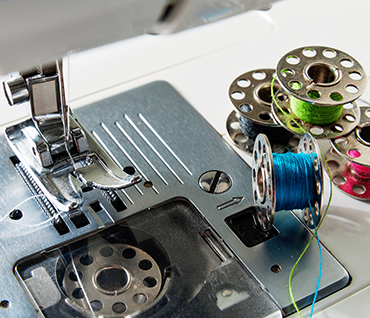 Whether you’re looking for a machine to use as a hobby or on a professional scale, we offer a wide variety of Embroidery, Sewing, Quilting, and Speciality machines, as well as Sergers. 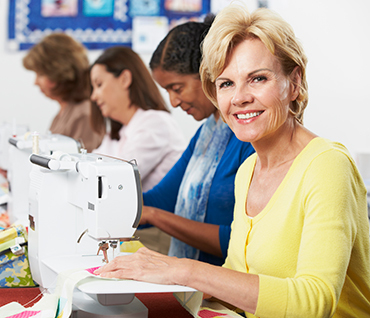 We have more than 35 years of experience in servicing mechanical and computerized sewing machines, embroidery machines, and sergers. Learn from the best! 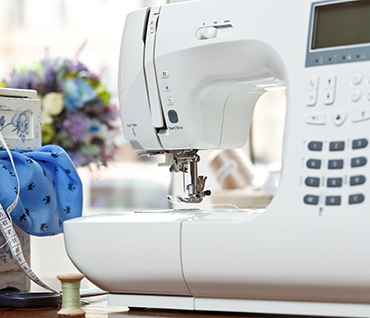 We offer a variety of classes and events geared toward helping our customers create beautifully-crafted items and get the most out of their machines. Don’t buy until you get our price. We will meet or beat local competitor’s prices.